Clockhouse Primary School: Amazing Attendance and Perfect Punctuality week continues - improved again today - well done everyone! 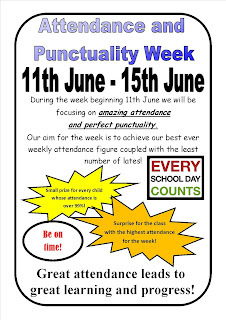 Amazing Attendance and Perfect Punctuality week continues - improved again today - well done everyone! 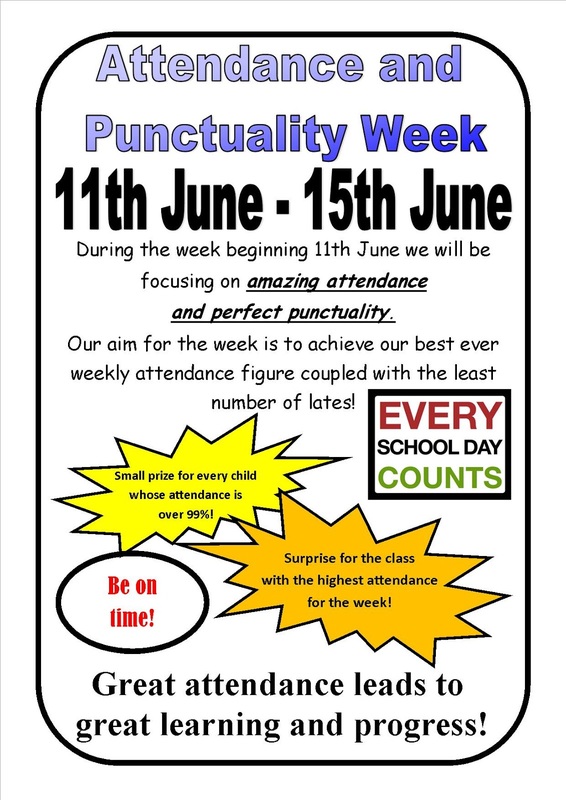 Do not forget that this week is our focus attendance week where we are looking for Amazing Attendance and Perfect Punctuality. Well done to France, Canada, Kenya, Uganda, India and Japan who have all had amazing attendance today with 100%! This means that France are still on track for 100% for the whole week - keep going! Which classes can get 100% tomorrow? Thank you all for your ongoing support. Attendance and Puntuality Week - The Results! Special Dinner - next week! Interested in Athletics? This could be for you!